Asistorefront.com is your online buying portal for Acoustical Surfaces, Inc and divisions. 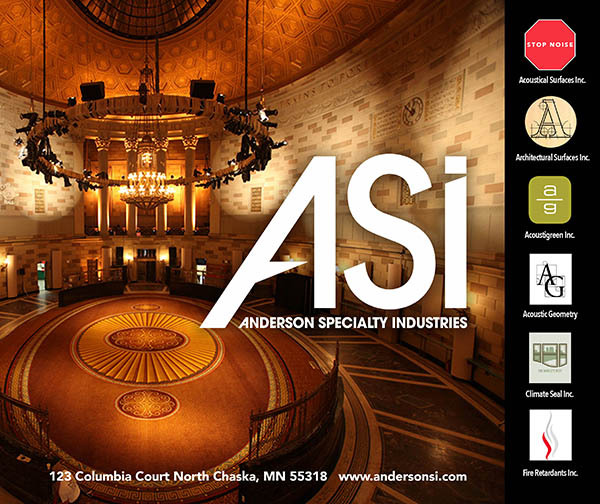 Here at the store front you can browse the products ASI has to offer. The store front offers Acoustical, Soundproofing, Noise Control, Vibration Control and Fire Retardant products. Whether you’re looking for “Green” sustainable products or Class A fire retardant products the ASI store front has them all. Acoustical Surfaces, Inc has been serving the Acoustical and Noise Control market for over 25 years. We offer quality materials and products to get the job done right, the first time. We are here to help, so if you can’t find a product for your application or just have questions about our products please call us at 800-448-9077. Throughout the years, Acoustical Surfaces has continued to develop and deliver the newest and widest array of unique acoustical, noise control and soundproofing materials. Acoustical Surfaces, Inc. is your complete source for acoustical, noise control, vibration and soundproofing materials and services.